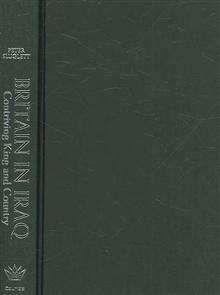 Offers an account of Britain's political involvement in Iraq as well as insights into the motives behind the founding of the Iraqi state. This title presents a historical narrative of the development and implementation of the mandate in the face of considerable opposition in both... read full description below. After the end of World War I, international pressures prevented the Allies from implementing direct colonial rule over the former Arab provinces of the Ottoman Empire. Instead, the Allies created a system of mandates for the governance of the Middle East. France was assigned Lebanon and Syria, and Britain was assigned Iraq, Palestine, and Transjordan. 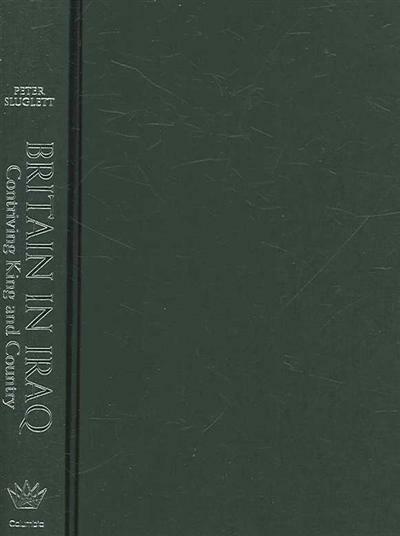 First published in 1976, Britain in Iraq has long been recognized as the definitive history of the mandate period, providing a meticulous and engaging account of Britain's political involvement in Iraq as well as rare insights into the motives behind the founding of the Iraqi state. Peter Sluglett presents a historical narrative of the development and implementation of the mandate in the face of considerable opposition in both Iraq and Britain and shows how the British maintained a "reliable" group of Iraqi clients in power to protect imperial interests.Sluglett explores the changing relationship between Britain and Iraq over the eighteen years of occupation and mandate, the interactions between Shi'ite and Sunni populations, the position of the Kurds, the boundary between Turkey and northern Iraq, and policies relating to defense, land tenure and the tribes, and education. A new conclusion attempts to analyze the legacy of the mandate and to offer some explanation for Iraq's continuing weakness as a state and the structural obstacles preventing the emergence of a plural political system. Peter Sluglett is professor of Middle Eastern history at the University of Utah. He is the coauthor of Iraq Since 1958: From Revolution to Dictatorship. and coeditor of The British and French Mandates in Comparative Perspective.